What a fabulous masculine card! I love it! Fun card! Thanks for playing along with AEI♥U Challenge! Thanks Diana! I had a lot of fun. This is the first or second time I've used enamel dots and I think I need more!!!! Such a fun masculine design! 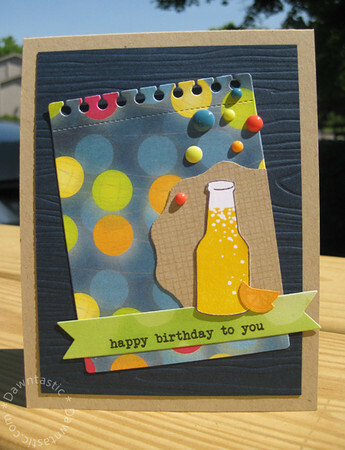 I love the bokeh paper and the little pop bottle! So festive and fun! Thanks for joining us at Avery Elle! I love your card! Such a fresh and fun design! Thank you for joining us at the AE challenge!